Showing results for tags 'pfew'. So, back in May 2014 at the last Police Federation conference it was stated that Specials would now be allowed to join and need to pay full subscription fees. But since then I personally have heard nothing from the Police Federation or my local branch representative(s) about joining. Has anybody else heard anything? Special Constables are to be invited to join the Police Federation as full subscribing members after a favourable vote at the body's Annual General Meeting. The conference motion stated Specials wanting to join will be "required to pay the same rate of subscription to the voluntary fund as serving officers in order to access the full range of membership services." This currently stands at £21.58 a month. John Apter, chairman of Hampshire Police Federation, said: "Today we have made the right decision. As a former Special Constable and somebody who can see the real benefit our Special Constable colleagues bring to policing it is right and proper they are welcomed as Federation members. "Special Constables are an integral part of our business, they carry a warrant card and provide invaluable support to our members. This is a great result and one I am proud to support." 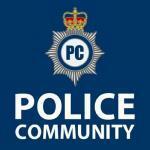 There are presently some 18,000 Special Constables in England and Wales. Only 12.5 per cent of Special Constables responded to a federation online survey last year asking whether they wanted to join the Staff Association. Of those that responded 2,356 (94 per cent) said they would choose to become a member of the Police Federation. Earlier in the conference, Ian Miller, a City of London Police Special and a member of the Association of Special Constabulary Chief Officers (ASCCO), said that this low turn out was possibly a reflection of the fact that the conference has consistently voted no to allowing specials to join. "I don't think the vote was a true picture," he said. "They are aware of the 'no' vote from the last conference and when it is discussed among Specials there is a feeling that 'they wont vote for us anyway.'" DCC Michael Banks, from Durham Police, who leads nationally on Specials, told the conference that volunteer officers worked four and a half million hours for the police service last year. This was the equivalent of £75 million in manpower costs. So what's your thoughts? Would you consider joining the Police Federation and having the luxury of all the protection for the legal services , representation for your welfare and of course a free diary each year ?